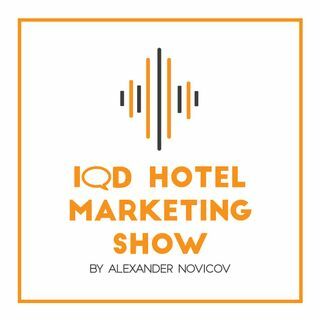 This podcast is about how we can create authentic brand stories and meaningful content and thereby differentiate our hotels. Our goal through this podcast is to build purpose-driven brands that really make a difference. Every week we’ll share fresh ideas with you and introduce case studies and tools to increase your direct bookings. The goal of all this is to touch the hearts and minds of people and help them become your guests. Your host Alexander Novicov is striving to become better every ... See More day, by learning and sharing his insights with you. He is a passionate public speaker, a marketer and the CEO at IQD Agency. Occasionally he runs with his dog, Chanel.